With over 164,000 compliance reports filed so far, our solutions are designed to assure quality, reliability and ease of use. HMRC, under its MTD initiative, proposed a phased implementation of digital record keeping, requiring quarterly reporting from businesses, the self-employed, and landlords for Income Tax Self-Assessment (ITSA), Value Added Tax (VAT) and Corporation Tax (CT) between tax years 2018-19 and 2020-21. The timelines of the initiative have since been revised, requiring only VAT registered businesses with turnover greater than £85,000 to comply initially. These businesses are required to submit their VAT obligations to HMRC using MTD compatible software instead of the online form previously provided by HMRC. To ease the process of migrating to digital reporting, HMRC has started a pilot phase for VAT registered businesses. These businesses can participate in the pilot phase beginning April 2018 using MTD compatible software to ensure that they get hands-on experience before the mandate goes live in April 2019. DataTracks, an HMRC recognised software providers supporting Making Tax Digital(MTD) for VAT leverages easy filing of VAT with HMRC. Concurrent to the digitisation process by HMRC, our team of experts have developed unprecedented bridging software connecting API’s provided by the regulator for fetching details and smooth VAT filing. The MTD solution provided by DataTracks is suitable for all levels of businesses and agencies. It allows people to keep using Excel spreadsheets to store their data and then to file their VAT returns with HMRC while meeting all the requirements of MTD. Along with this, we can help you with customisation for automated input from your data source. Here are few feature highlights of MTD Software. We have a track record of over 7 years providing iXBRL and CT600 preparation services for companies to file with HMRC. Abreast of the digitisation initiative by HMRC, our MTD solution simplifies your VAT filing, making DataTracks a one-stop solution for iXBRL, CT600 and MTD. We are an HMRC-recognised software provider supporting MTD, the first to be recognised by the regulator for iXBRL Managed tagging services. We work consistently with HMRC for leading the way towards digitisation. We have been helping customers across the world with their compliance reporting requirements for more than a decade. We‘ve prepared more than 164,000 reports for filing with regulators such as HRMC in the UK, SEC in the US, Revenue in Ireland, ACRA in Singapore, CIPC in South Africa, MCA in India and various EU regulators like EIOPA, EBA, ESMA, and others. 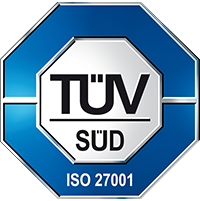 Our delivery centres are certified by TUV of Germany with ISO 9001:2015 for quality standards, and ISO27001:2013 for security standards. 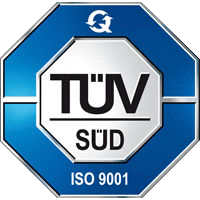 This ensures our work processes are structured to meet the highest benchmarks of quality and security. In addition to this, DataTracks is audit compliant with service organisation controls as per SSAE18 guidelines. Our experienced professionals guarantee data consistency and ensure that your data is secure and always available to you, by providing redundant infrastructure and controlled access.